On 25th Sep Cllrs Cummings and Smith attended a briefing held jointly by Rutland County Council and the Ministry of Defence (MoD). The aim of the meeting was to outline how the County Council and MoD intended to work in Partnership to identify the most appropriate future use of the site in line with the Councils objectives and requirements and to secure the best possible outcome for St George’s site, local communities and the wider county. The MoD decided last year that St George’s Barracks would close by 2021 – this decision at present remains extant. Since then MoD and RCC have been in active discussions about the possibility of developing a Private/Private Partnership designed to maximize the potential for the site. The site was a 300 Hectare Brownfield site with enormous potential in a most favorable position close to A1 / A47, and Rutland Water. A new ‘Garden village’, – the new village would be well-designed, built to a high quality and attractive to meet local housing needs, including affordable housing. She indicated that this would be a long term project with phased development over 10-15 years. With supporting infrastructure, including roads, Utilities, Broadband etc being put in place prior to development. The Parish Council have indicated their wish to work closely with MoD and to be able to represent the views of the villagers of North Luffenham. 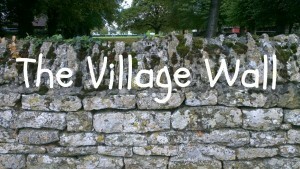 Helen Briggs, the Chief Executive has agreed to come to North Luffenham to present the Council’s vision to the village. Plans are being drawn up to hold this meeting on 25th or 26th October. Further details will be published in due course. A Question and Answer brief prepared by Rutland County Council is attached. This entry was posted in Parish Council, St Georges Barracks Development on September 27, 2017 by Paul Cummings. I read that extraction of minerals “takes priority over any future development opportunities”. At the same time it talks of infrastructure being front loaded with HIF money. Could the possible plans and decision making process / consultation process be clarified? Is it all pending results from the mineral extraction survey by end of calendar year? How are the listed status and the ecological importance of the site being considered? Initial mineral extraction survey results will be be avail later this year / early in 2018 which will define what areas may need to be held back initially. The listed status of the Thor sites is being addressed and they will be protected. The Partnership Team will include ecological experts and full ecological surveys will take place as normal in such developments.